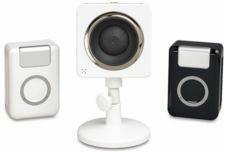 The global leader in connectivity for small, medium and large enterprise business networking, D-link has announced its easy-to-install, easy-to-use D-Life web-based home surveillance camera systems that utilize Powerline networking. The D-Life surveillance systems offer users with a series of three different products, the DHA-390 Surveillance Camera Starter Kit, the DHA-310 Expansion Kit and the DHA-330 video player. The DHA-390 Surveillance Camera Starter Kit is the camera that allows users to monitor their house from anywhere over the Internet via remote access. The DHA-390 consists of one compact Internet camera and two Powerline adapters, and the setup is easy with D-Link’s zero-configuration. In addition, it also features with e-mail notification of motion-triggered events, low-light video capture, built-in microphone, adjustable with mountable camera stand and expandable via the D-Link DHA-310 Internet Surveillance Camera Expansion Kit. If the users like to add additional Internet camera to DHA-390 surveillance starter kit, they can get DHA-310 expansion kit. The DHA-310 is boasting the same features as the DHA-390. The D-Life Video Player is equipped with a 7-inch LCD video player that allows users for easy monitoring of all D-Life cameras connected to the network. The DHA-330 is also featured with built-in speaker for camera audio playback, touch sensitive buttons, desktop or wall-mount. The DHA-390, DHA-330 and DHA-310 are now available in the market with MSRP price of $249.99, $209.99 and $199.99 respectively.